VEL NationaLease, a division of Valley Equipment Ltd. and North East Truck & Trailer is an official member of NationaLease, is now offering short & long term truck and trailer rentals. Dry van storage, reefer storage, dry van highway and reefer highway units are available in tandem and tridem configurations. 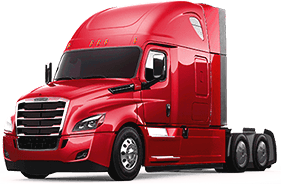 Day cabs, mid-roof sleepers, and raised-roof sleeper trucks are available as well. 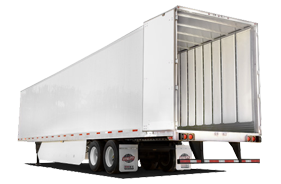 Units can be rented out as separate or complete truck and trailer. Rentals can be made out of any of our three locations (Hartland, Salisbury, and at North East Truck & Trailer in Truro & Dartmouth, Nova Scotia). For availability, pricing and for specialized trailer rental quotes give us a call (506) 375-4412. Thank you! A member of our VEL NationaLease team will be in touch as soon as possible! Thank you! A member of our VEL NationaLease team will be in touch as soon as possible. If you need help with any aspect of the leasing process, please don't hesitate to ask us. Our VEL NationaLease team members will be happy to assist you in any way. Whether through email, phone or in person, we're here to help you get the customer service you deserve.